- by Louise Casey CB - states that the Council was not fit for purpose. 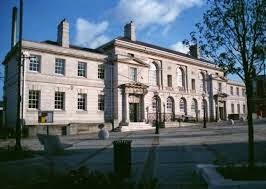 The government has published several documents relating to this - see Inspection into the Governance of Rotherham Council and these include a letter from the Secretary of State to Rotherham Council detailing the proposed intervention in the running of the local authority. Also, the Secretary of State proposes to impose fresh council elections from 2016. Rotherham has up to 18th February to respond to the Secretary of State's letter. The National Crime Agency (NCA) has announced that its ongoing investigation into child sexual exploitation in Rotherham will be extended in the light of Miss Casey's findings. (Formation of the NCA - see Crime and Courts Act 2013). The Secretary of State proposes to impose fresh council elections from 2016! !